Gold Rush: 1848–1860: "The World Rushed In"
Or view larger version. 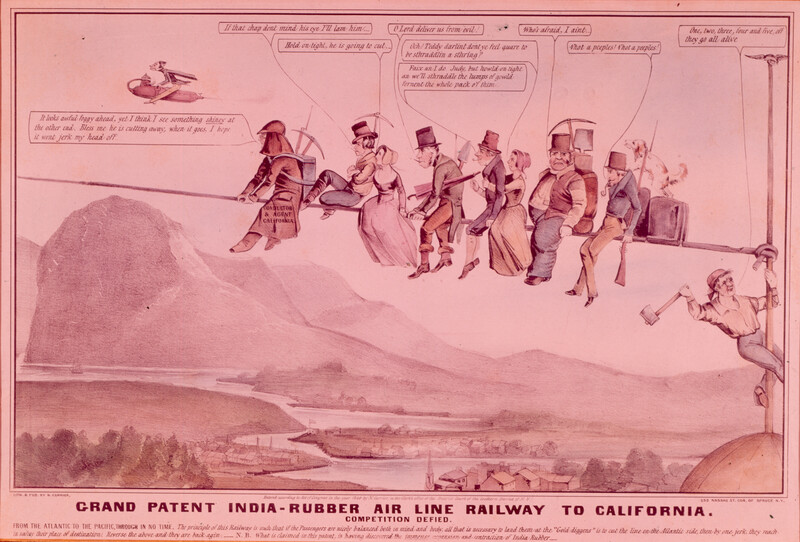 Grand Patent India-Rubber Air Line Railway to California. ca. 1849. Nathaniel Currier, artist. Hand-colored lithograph. Collection of Oakland Museum of California. Founders Fund.